FAQs – There are many varieties of trees that growing in Spokane, including fruit trees like pears and apples. However, there are also rules and diseases tree owners need to know before they plant. See more info here. Services – Need a pro to help you with the process? We have a full list and one might be near you! How Much Do Tree Services Cost in Spokane? Although Spokane is located firmly in the Pacific Northwest, its position between two large mountain ranges gives it a climate all its own. Caring for trees in this combination of semi-arid and cool-summer Mediterranean environments can be overwhelming, but local professionals can save the day by offering tree trimming, tree removal and even stump removal. Use this guide to better price tree services in Spokane, Washington. There are several reasons why property owners might want to rid their land of a tree. Old trees can be a danger to structures, or they could be in the way of new construction. Either way, hiring professionals to bring down the trees safely is often the best course of action, which averages $487 to $641. When they do so, homeowners can even opt to keep the wood and have it chopped for future use. Although a stump is much smaller in size than an entire tree, removing it can still be difficult unless you have all the right equipment. Professionals use a large commercial grinder to eliminate the stump in minutes, and having more stumps removed at once can bring down the overall price per piece. Tree owners can expect to pay about $100 per stump. Trees in Spokane require several different types of maintenance and care in order to survive during cold winters and thrive in the spring. Some trees require pruning to get existing branches adequate nutrition, and other trees need to be trimmed for aesthetic purposes. Professional tree trimming and maintenance will run tree owners $472 to $664 on average. Spokane has a fascinating climate that is a result of relatively low rainfall for the region, shifting elevations, summer temperatures as high as 100 degrees and winter days with snow and temperatures below freezing. This unique ecosystem makes caring for trees overwhelming at times, but the reality is that a handy guide like this one can make it easier to pick thriving trees, have a beautiful landscape and abide by all local tree guidelines and regulations. Like most cities, Spokane has some tree removal regulations in place to protect the area’s canopy and maintain the greenery of the city. That being said, residents do not need to acquire permits for tree or stump removal that is entirely on their property. According to the Spokane Municipal Code, however, licensed tree trimmers that take more than 30 minutes to an hour for tree removal may need to apply for a permit, especially if the work will be done on or near a busy road or intersection. To remove street trees, even if their branches are on your property, a permit will be required. Keep in mind that removing trees should ideally be done in the autumn, which allows the ground to recover by the following spring. Residents in Spokane have a choice of energy providers, but the largest company in the area is Avista Utilities. Since their maintenance crews handle thousands of miles of roads, power lines and trees, they ask that residents contact them with information regarding diseased or dying trees near power lines or branches that need to be trimmed, all of which will be done at no cost to the homeowner. 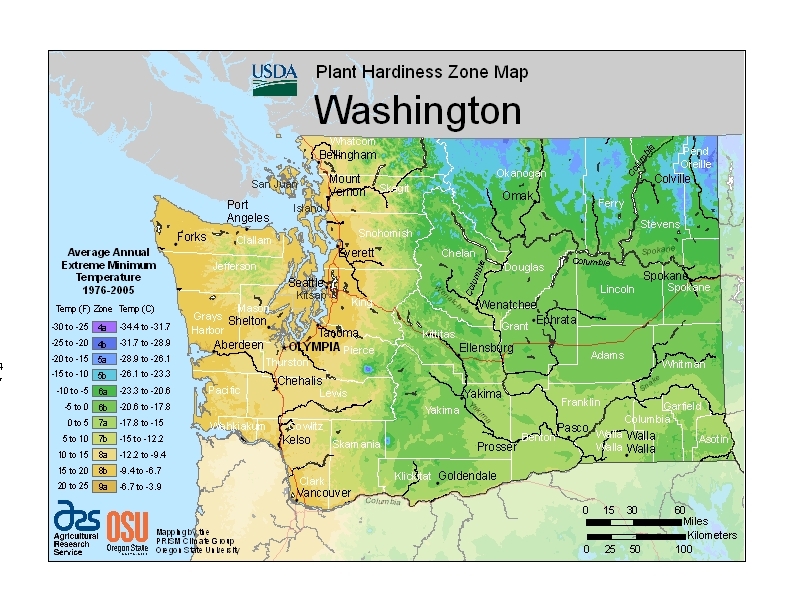 When planting trees near power lines or rights of way, Avista also recommends that only trees that mature at less than 20 feet be chosen to reduce the need for trimming or power line damage in the future. Spokane has a fantastic climate for growing a variety of fruit trees, but aspiring gardeners should look specifically for options that can handle both hot summer temperatures and winter days that hover around freezing. Some of the top fruit trees for the area, according to the Washington State University Spokane County Extension, include Gala and Spartan apples, Bing and Rainier cherries, Bosc and Hosui pears, Gold bar and Tilton apricots and New Haven peaches. In 2013, the Spokane Park Board did a complete tree inventory of the city. During that process, they discovered that the city was home to more than 86,000 trees, which they valued at a whopping $382 million. 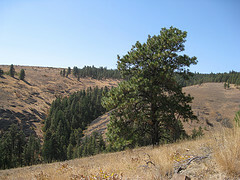 They also located the tallest trees in the city, which are two Ponderosa pines that stand at 140 feet in total height. According to Washington State University, there are a number of pests that can affect the look and health of trees in the Spokane area. Some of the biggest problems that property owners should look for include blister beetles, pine beetles, aphids and Dutch elm disease. 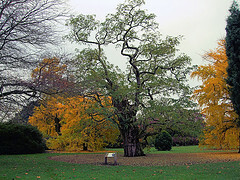 The United States Department of Agriculture, or USDA, has a definitive ranking system for ecosystems as well as trees. Spokane is ranked as a 5b, which means that trees that thrive in the area will be as close to that number as possible. Tree ranked at 8a or above will likely suffer in the winter, and trees with ranking below 3a might suffer without adequate rain or in the hot summer temperatures.